Every year, POI has the incredible oportunity to provide hundreds of children with backpacks filled with uniforms, shoes, and school supplies. These school supplies pave the way for children to break the chain of poverty. With a good education, a child has opportunities to go to college and find jobs. Their joy at something as practical as school supplies and clothes is incredible. 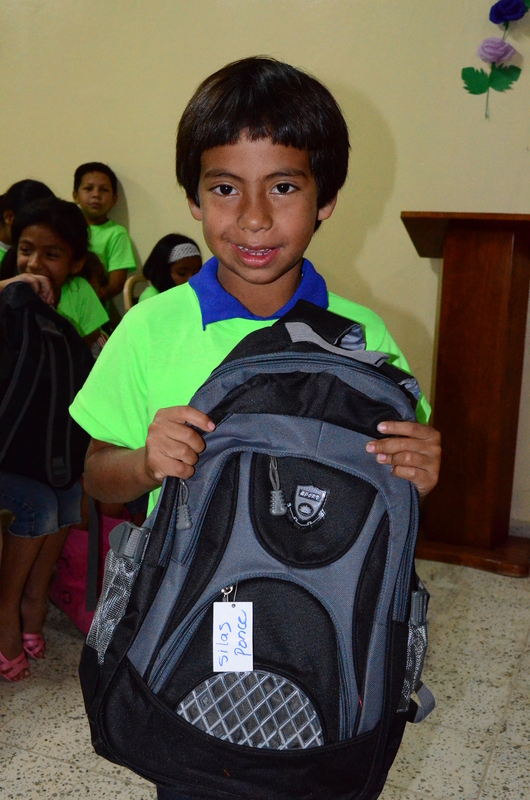 Last week over 300 backpacks were given out to children all throughout Tegucigalpa, Honduras. Seven-year-old Silas Abimelec Ponce goes to school in a neighborhood called Villa Nueva. Unlike schools in the US, their school year starts in February. Silas’s mother is single and struggling financially; she couldn’t afford any of the school supplies required for Silas or his 2 sisters. Therefore, she planned on waiting a year to put Silas back in school. Silas and his mother were overjoyed and filled with thanks when Silas received a backpack full of school supplies last week. He is now working hard in his 2nd grade class. POI has the incredible opportunity to meet so many pertinent needs, but it wouldn’t be possible without the generosity of so many. We thank you for coming along side us and mobilizing the gospel by meeting physical needs of children and families in Honduras. We are excited as we continually see children and parents coming to know Christ. Please pray for each of the children who received a backpack this year. Pray that they will see the love of Christ through every need that POI has the opportunity to meet. None of this would be possible without the support of so many of you.